When a family was unjustly massacred by a great general, a young boy named Ning Que escaped. He managed to survive in the wilds through his wits and committing murder. One day he dug out from a pile of corpses a little girl, Sang Sang. Since that day the﻿ two of them are inseparable. Ning joined the frontier military and eventually become part of the entourage of Princess Li Yu as she traveled back to the capital. He managed to discovered the hidden school known as the Upper Storey, which leads him and Sang Sang to many wondrous adventures. However, hostile forces are gathering around them, and people not who they appeared to be. Is Ning Que the son of the King of Underworld, or the savior of humanity against the Eternal Night? Yayyyyy we've moved onto season 2! Loving the pics on weibo of Dylan Wang he looks great and got that too cool for school look. SYYR looking great as usual! Glad to be here for s2 from the very beginning since I came almost at the end of S1. @ningsangcpp Yes Dylan Wang does look great. In an interview he mentioned he wanted to look cool/handsome during his fighting scenes. Well Didi mission accomplished . Believe me he will give it his all to become a great NQ. Yayyy!!!!!! Finally we have a new thread for EN2. Yessss!!!!!!! Edit:. Dylan is looking so good in the poster. . he is giving me NQ vibes already. Hope the auntie's won't mess with the original storyline. Wowwww my pineapple..... Hehehe thanks @angelangie for creating this thread. I'm so going to watch this drama. The bts video of him fighting looks epic. Can't wait for this drama. Calling for our comrades and especially @Snow Guardian. We have a final announcement of the cast for EN 2. come join us for the second part of the novel discussions. Jaiyou!!!!!! Omo, the fighting practice!!!!! He is looking cool with the fighting moves and when he is skidding!!!!! Love his swift and agile moves. If the bts looks this good, I can only imagine how the drama will look like. Edit: ohh didn't realise that @pad-hari already shared this bts video. Whose will be FUZI in S2 Adam cheng or some other artist? Leaving a footprint here so I can be notified when S2 is out. It is just a practice session @angelangie!!! So now I'm confused on why you said it needs to be polished if you know it's just a practice session. I'm asking because I don't know about this stuff. You think he still needs to improve?!? Considering that Dylan Wang was recently spotted on the set of Ever Night 2 将夜2, it was only a matter of time before they made it official. He will be joining the show as the main protagonist, replacing Arthur Chen who previously stated that he wouldn't be returning for the sequel. 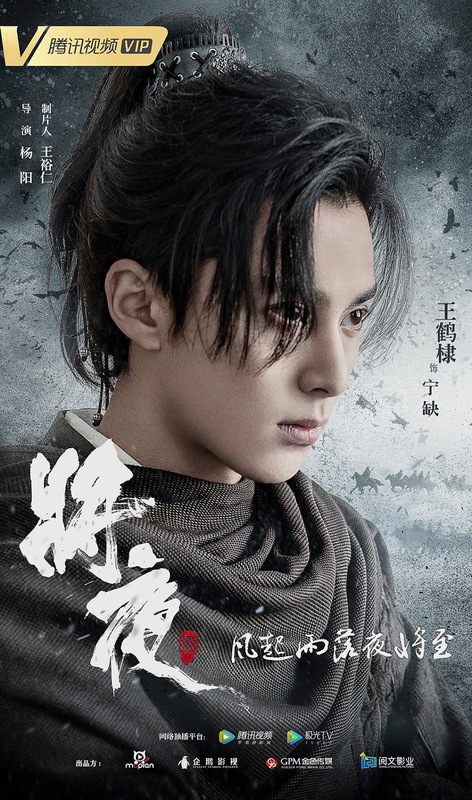 The look and feel of the series is much like season 1 with the same old umbrella, the same leading lady played by Song Yiren, the same director Yang Yang (not the actor) and producer Wang Yuren. Despite having a rookie actor in the lead, season 1 turned out to be a magical journey on a grand scale that hit all the right spots for fantasy buffs. There's always a big risk that comes with a major casting change and a lot of pressure falling on the shoulders of the new guy. The production team is unanimous in saying that Meteor Garden star Dylan Wang has what it takes to play the role of Ning Que. It is Dylan's first period drama and second drama in his career. Now that he's in costume, what do you think? 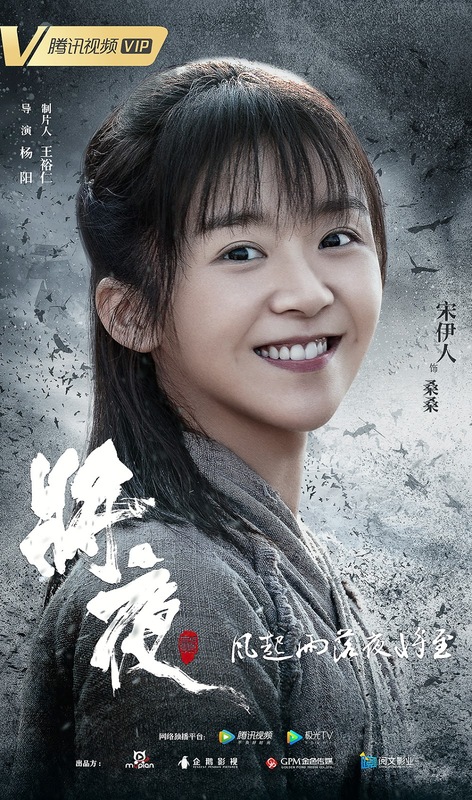 Season 2 is expected to continue the story after the great battle as Ning Que returns to Tang Cheng. I wish they have a better look for the poster. That is such a weird look... is he angry? Protective? Sad? I don't feel anything. I can't wait!!!! It will take a bit to get used to the new guys..